US retailer Tower Records has filed for Chapter 11 bankruptcy protection after illegal music downloading and heavy competition hit revenues. The bankruptcy filings for Tower and its privately held parent MTS Inc comes after loss-making Tower was unable to find a suitable buyer. Tower, which has 93 stores, has been unable to cope with competition from digital downloading and file copying. MTS listed more than $100m of assets and $100m of debts. The company closed its UK stores last year, but still has international outlets in Asia, Latin America and Israel. Under Chapter 11 laws, the business can carry on trading while restructuring under court supervision. "Court approval of the pre-packaged plan will reduce existing debt by $80m, effectively eliminating the financial risk that have faced Tower for the past three years," said Tower chief executive Allen Rodriguez. It stressed that employees and customers would not notice any difference at the 93 stores Tower currently operates or on its internet website. Staff will be paid as usual and all gift certificates, refunds, etc, will be honoured. Under the debt restructuring plans, the founding Solomon family would relinquish control of Tower and MTS to creditors and retain a 15% stake. Creditors will provide interim financing of up to $100m to pay for daily operations. Parent company MTS hopes to exit Chapter 11 status within 45 to 60 days. Tower opened its first store in Sacramento in 1960 and sold record albums for just $1.98. Over forty years later stiff competition from retailers such as Wal-Mart, Virgin Megastores and Best Buy, coupled with high lease costs, drove it into heavy debt. 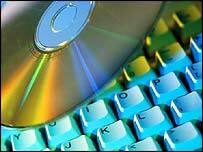 This, the company says, was compounded by the growing problem of digital downloading and file copying which has been plaguing the music industry. Tower's famous flagship store on London's Piccadilly Circus was bought by Richard Branson last year.